Stuart Roosa in smokejumper suit during training at Siskiyou Smokejumper Base, 1953. Photo by Bill Buck. 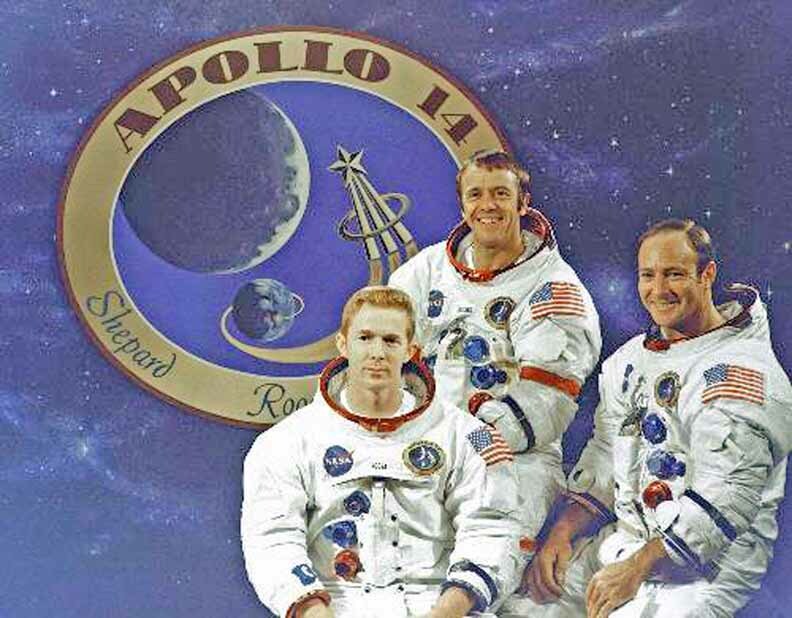 There are four individuals living in Oregon who not only went to the moon but flew around it 34 times before returning to earth. Their trip may have never happened if it had not been for the experiences of an aerial firefighter in southwest Oregon. In 1953, Stuart Roosa began working at the Siskiyou Smokejumper Base in Cave Junction where he grew to love the forests. It is believed that this experience is what inspired him to carry tree seeds with him when, in 1971, he became the command module pilot of the Apollo 14 mission to the moon. The space ship Roosa was in circled the moon 34 times before returning to earth where the seeds were planted as part of an experiment. The trees were given away in 1976 to celebrate the centennial of the nation and four of these trees are known to be planted in Oregon and many others planted in other parts of the nation and world. One of these was planted at the Siskiyou Smokejumper Base in 1976 but died about eight years later. A local member of the Garden Club was able to successfully graft a cutting from one of the surviving original moon trees in Roseburg and this sapling was replanted at the Siskiyou Smokejumper Base in 2012 behind the historic administration building in the same location as the original. The Siskiyou Smokejumper Base and the smokejumping experiences that inspired Roosa to carry tree seeds to the moon is why many consider the Siskiyou Smokejumper Base to be the home of the moon trees. The Apollo 14 Moon Trees may someday be the only living legacy of America’s missions to the moon during the Apollo space program. If you would like to see a moon tree, one can be found on the grounds of the Veterans Medical Center in Roseburg. It is a Douglas Fir with a plaque saying “This tree dedicated by the Veterans Administration in 1976 to America’s Medal of Honor recipients…” Other moon trees can be found at the state capitol and Oregon State University, Corvallis. There were no precise records kept when the Apollo 14 Moon Trees were distributed and planted in 1976. You can find information and location of the trees that are known at NASA’s Moon Tree webpage. State Capital grounds, Salem: 44.93928,-123.031652 . There is a plaque that identifies this Moon Tree as an Oregon State Heritage Tree. Oregon State University, Corvallis: 44.564327,-123.284986. The lower branches lay on the ground outside the east door of Peavey Hall and next to SW 30th Street. Information on moon trees can be found on a number of websites using the following key words in a web search: Stuart Roosa, Apollo 14, moon trees.